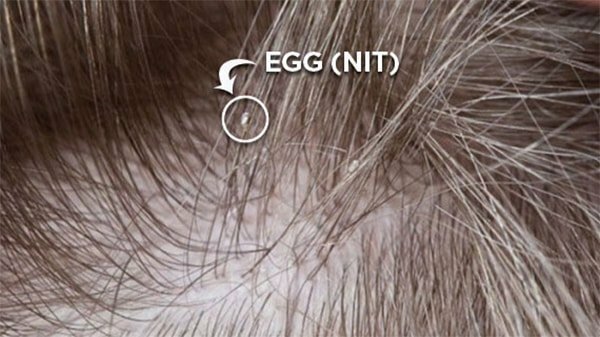 Lice eggs (nits) are tiny eggs that will later hatch into lice. To treat head lice completely off, in addition to catching and killing all lice, removing egg lice is also extremely necessary. Removing eggs will not only prevent pain for those who are having to suffer this annoying situation, but also limit the spread to other people in family, friends, and pets. So, what does lice look like? How to prevent them? 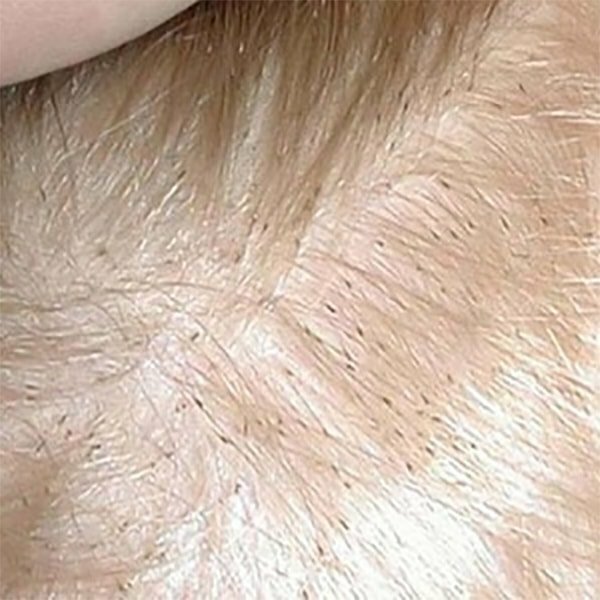 In this article, let’s see what does lice look like in blonde hair and some ways to stop this problem with us. Normally, there are 3 forms of lice. To be able to make sure which form of lice you are having, you should know about the different characteristics of each of them. The final form is adult lice. Adult lice eat from seven to five times per day by your skin with its small and firm claws, prickle their irritating sputum and take your blood. Their body color changes to a darker color after sucking blood. They use their claws which look like small hooks, to hold onto the hair strand so that they are very active and can move quickly. If you have blonde hair and wonder what does lice look like in blonde hair, this is your answer. On blonde hair, they can look like very small black sesame seeds. You may take notice that they can look darker if they have sucked your blood already but you can also hardly find it, just like they are invisible because their body is nearly transparent when they have no blood in their body yet. 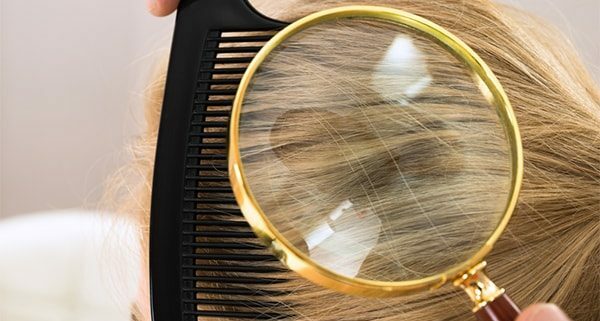 After answering what do lice nits look like in blonde hair, let’s see what does lice look like in darker hair color, such as brown or black hair. If you have a dark brown hair or black hair, this part is for you. 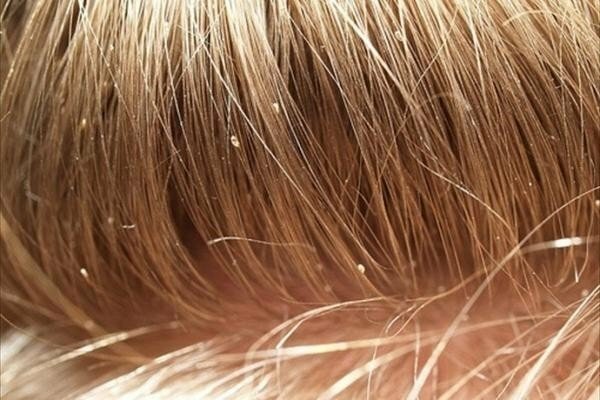 Finding three forms of lice which are nits, nymphs and lice will be a little bit harder when your hair has these dark tones because many people can sometimes mistake these with something else such as dandruff. This is the first thing to do because if you only kill all lice eggs without killing the lice, it can still continue to grow on your head, the batch of eggs will continue to appear on your hair. To kill lice, wash your hair thoroughly with curing shampoo that you can find in pharmacies. In the case of many lice and difficult to treat only with shampoo, you can ask your doctor to prescribe medication for you. See more: WHAT BRAND OF HAIR DYE KILLS LICE? THE ANSWERS REVEALED! Research shows that lice cling to hair or scalp and can survive underwater for a few hours so if you try to soak your hair in water for a long time it won’t kill them. 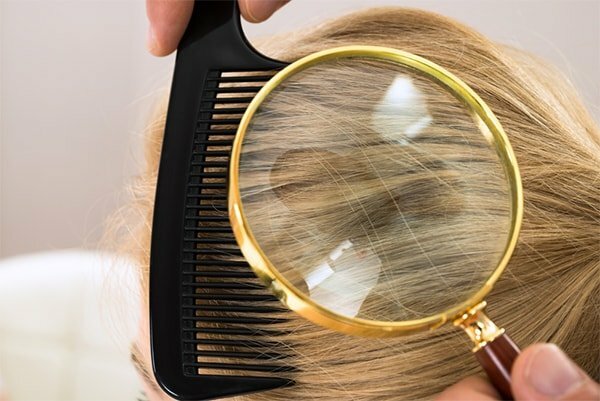 As knowing what does lice look like in blonde hair, you can partly destroy them by hand. However, this is only a temporary solution. Also, find a place with good lighting conditions. The nits will sometimes stick to the scalp, so you need to find a place with lots of light so you can find them all and kill them. Besides, you need to put a towel on the shoulder to prevent the eggs from falling to your shoulders. Rinse your hair with water and vinegar. Lice eggs are coated with a sticky substance so they can attach to the hair follicles. Vinegar contains chemicals that can dissolve this substance, limiting the ability of the egg to retain its grip on the hair. You need to rinse your hair with warm water then pour a large amount of vinegar on your head so that all the hair is soaked in vinegar. Finally, use warm water to rinse the vinegar. Alternatively, you can soak your hair in a warm water bath with vinegar, however, this is not a sure way to kill all lice on your scalp as you may not soak your whole head in the water tank. You are advised to use a little conditioner – you do not need to rinse with water after use, to give your hair a smoother look and comb your hair back so that there is no tangle. This step to help you relieve pain when using the lice brush in the following step. And then, begin brushing lice eggs. Although most lice eggs have been destroyed after you use vinegar, some may still exist. Use lice combs, with tight and hard teeth, brushing from hair roots to ends. Divide the hair into small pieces to help you brush more easily and not miss any part. Don’t forget to wash the lice comb after each time you comb your hair with soapy water. Then, wipe the comb with a tissue to make sure you have completely removed the nits from the comb if available. Repeat like this until you brush your head. If you want to be sure, then you can brush a second time. Wash your hair again with lice shampoo. After the hair is dry, check it again to see if the lice and eggs have been completely removed. If not, repeat the above process again. Wash all tools. Pour the wash water into the toilet and rinse thoroughly. 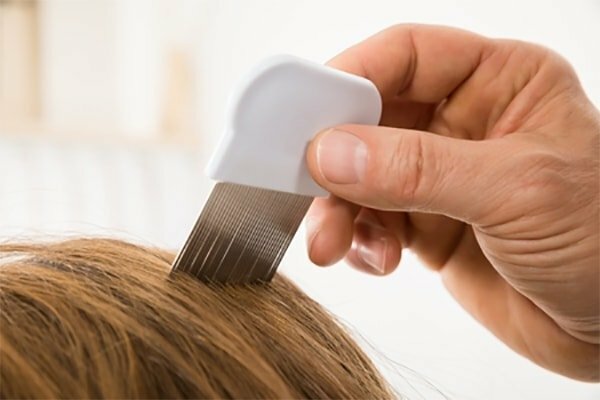 Soak the lice comb in boiling water mixed with ammonia for 15 minutes then rub the comb with an old toothbrush and rinse. This step is in case you need to use a comb the next time. First thing to do is to wet your hair with Listerine. Then cover your hair with plastic caps for 30 minutes or longer. This step is to kill the mature lice. If necessary, you can do so often to kill lice. You can also cover your hair and leave it overnight. Then, rinse hair with warm water. Pour a large amount of vinegar into your hair to remove nits. Use hair conditioner – don’t need to rinse with water after using and comb your hair to smooth it. Use a lice comb to remove all eggs from your hair. Spray a layer of Listerine on your hair and go to bed and pillows and then wash it in hot water to prevent it from coming back. You should avoid contact with people who you think are suffering from lice. Lice can spread this way, so limit your head contact with everyone. Also, avoid contact with other clothing accessories, personal hygiene products, and suits of people with lice. Lice can live for 1 to 2 days on objects, so limit exposure when not needed. At the same time, you should avoid using other people’s hats, hair bands, hairpins, scarves, jackets, sports uniforms. Combs, brushes, or towels. You should soak all combs, brushes, and towels in hot water over 130 ° F (54 ° C) for 10 minutes to disinfect. Also, avoid sharing beds, pillows, or stuffed animals of people with lice. Regularly washing clothes, towels in hot water at a high temperature is necessary. Use hot water over 130 ° F (54 ° C). If clothes cannot be washed or dried at high temperatures, you can take them to dry cleaning shops or pack in a plastic bag for two weeks. Vacuum the floor and any other surfaces (such as chairs, sofa) that people with lice have sat or lie on. If possible, use a vacuum cleaner with a HEPA filter to make sure all nits are drained. What medical techniques are used to diagnose lice (lice)? Your doctor will look at your medical history and test, pay special attention to your scalp and use a magnifying glass. The doctor can also use special lighting called Wood to find nits. What living habits help you limit the progression of lice (lice)? Usually, you can remove lice by taking self-care steps including using a specially-used shampoo to kill lice.